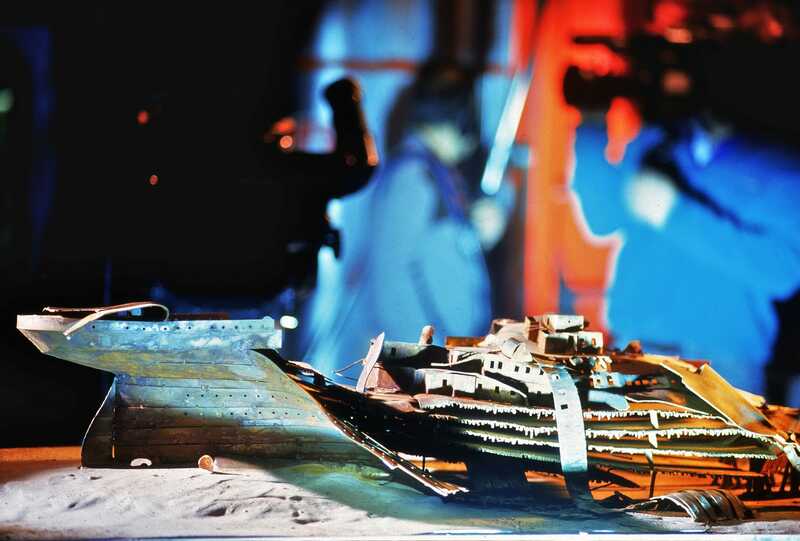 Titanica follows an expedition to the wreck site of the R.M.S. 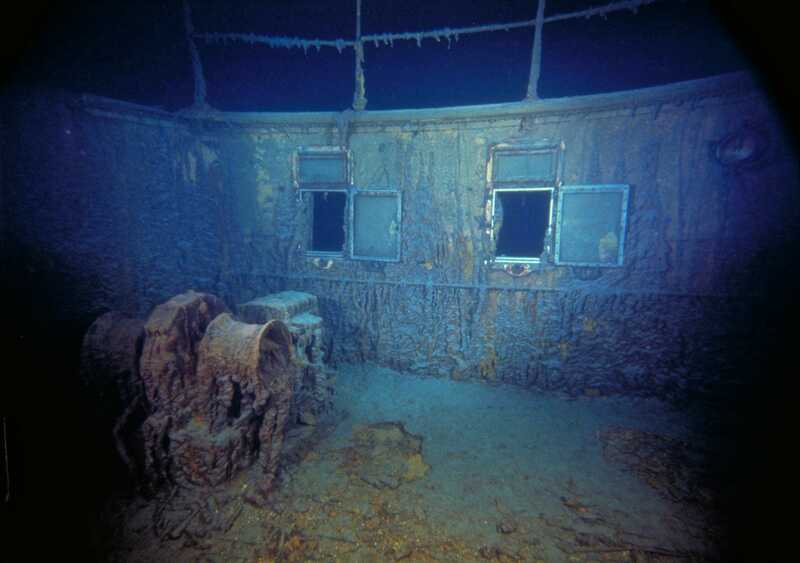 Titanic, 12,500 feet below the surface of the Atlantic. 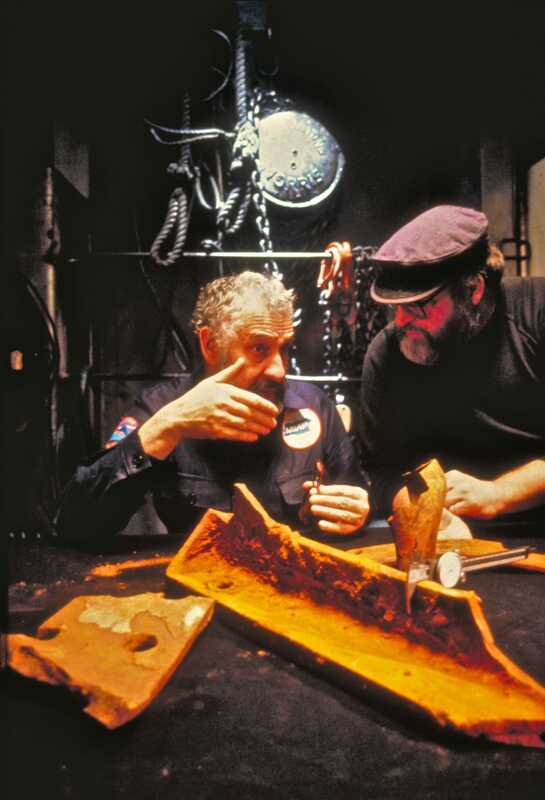 Filmed from the twin deep sea Russian submersibles Mir 1 and Mir 2, Titanica immerses audiences in the adventure, as the international team of explorers investigates the hull and debris field on the ocean floor. In counterpoint to the expedition, the film reveals the building of the great ship, documented in stunning period images and, poignantly, the remembrances of an elderly Eva Hart, once a seven-year-old passenger aboard the doomed ship. More About the Story. Bringing out the drama in a non-fiction documentary is part of director Stephen Low’s approach to filmmaking and Titanica is no exception. Low directs real people and real situations to tell a story, create character development and capture emotions in a way that makes audiences feel they are watching a drama. Low weaves several stories throughout the feature-length film: the construction of the Titanic, the world’s largest and most luxurious ship in the Belfast shipyards; the personal and haunting tale of the sinking as told by survivor Eva Hart; and the high-risk underwater adventures of the members of the international expedition who come to the project with separate missions. Juxtaposed with these vivid characters is a Titanic survivor from England, Eva Hart. Eva was seven years old when the Titanic went down with her father. “She remembers everything— she talks about her childhood experiences on the ship, playing the piano. She’s the one who touches on what it really means. I liked her story because it’s real. She sees it as a personal tragedy. Eva is the emotional balance in the film, the counterpoint to human obsession,” says Low. In Titanica, the story of survivor Eva Hart and her family unfolds in counterpoint to a major international deep sea expedition to the wreck. 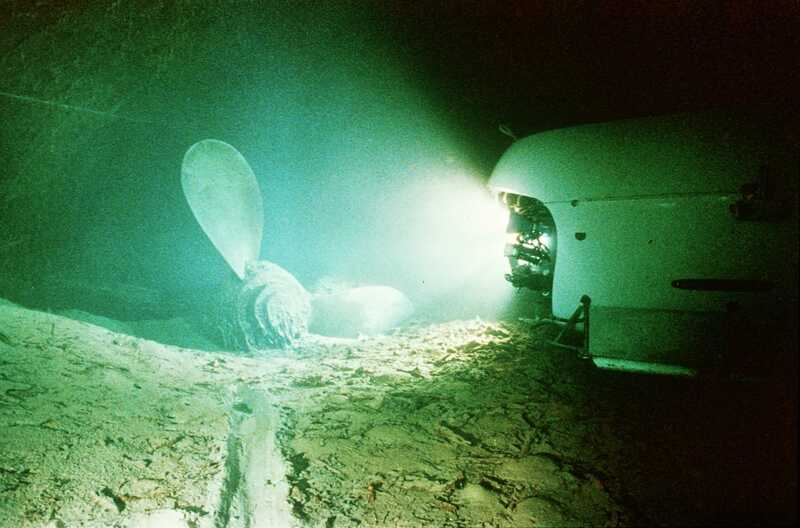 To capture the wreck site of the Titanic on film, the production team developed a unique deep-sea HMI lighting system and integrated it into the Russian Mir submersibles. 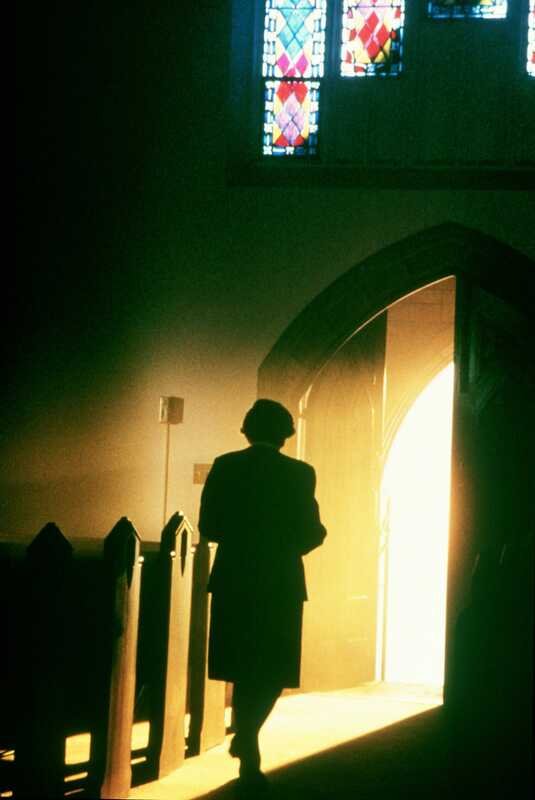 This was the first time that so much light had been taken into the abyss. 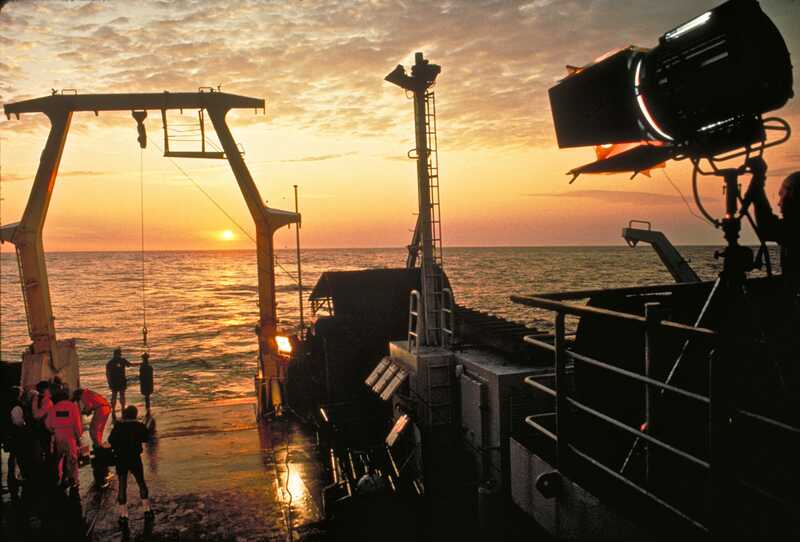 Titanica became an inspiration for other filmmaking enterprises to follow. Filmed entirely in the giant screen 15/70 format, Titanica delivered images of the deep and of the great ship that remain unsurpassed in their clarity and fidelity. Produced for: Undersea Imaging International Ltd. (IMAX Corporation affiliate) and Imax Corporation in collaboration with P.P. Shirshov Institute of Oceanology and Undersea Research Ltd. Available on DVD in stores and online. The expedition was a joint project of IMAX Corporation, The Stephen Low Company / Low Films International, the P.P. Shirshov Institute of Oceanology, and Undersea Research Limited. 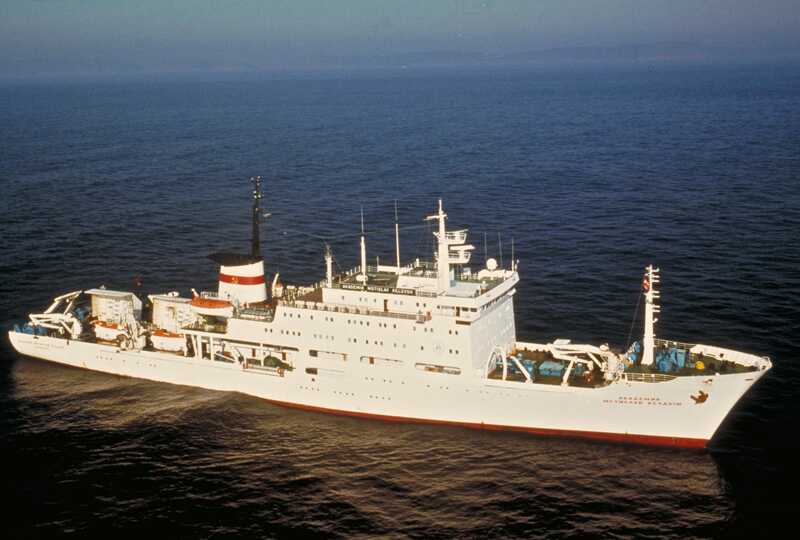 The expedition ship was the Akademik Mstislav Keldysh; the Keldysh is 440 feet (134 metres) in length and is the world’s largest oceanographic research vessel. The Keldysh is operated by the Moscow-based P.P. Shirshov Insititute of Oceanology (part of the Russian Academy of Sciences). There were 130 crew members aboard the Akademik Keldysh including participants from Canada and the United States. 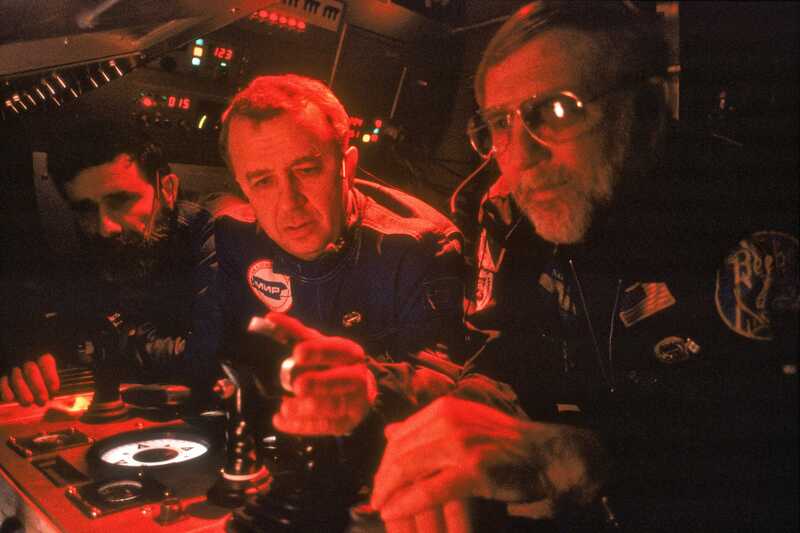 The expedition lasted 29 days (June-July 1991). The submersibles weigh 20 tons (18 metric tons) each and each costs approximately 20 million U.S. dollars to build. Each submersible carries a crew of three and has three acrylic plastic portholes, each with a thickness of just over seven inches (181mm). The Mirs are designed to withstand an external pressure of 9,000 pounds per-square-inch, the equivalent of an ocean dive to over 20,000 feet (6,000 metres). 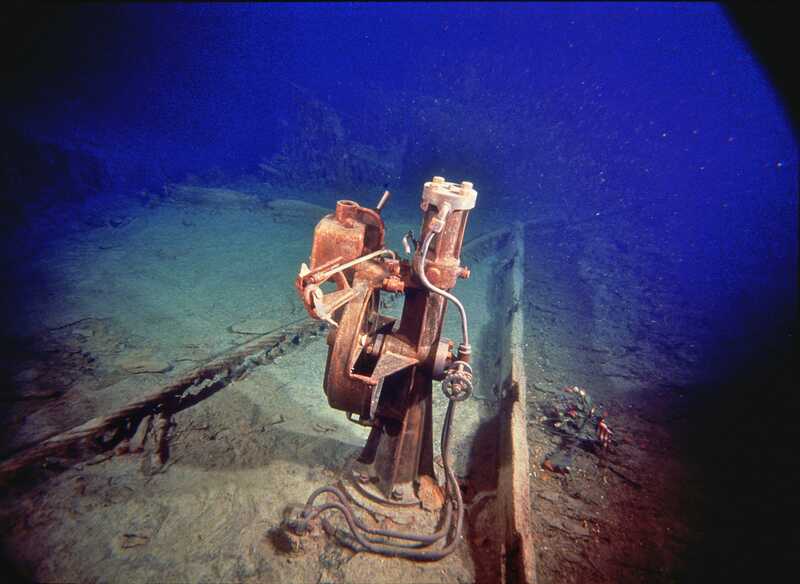 The pressure where the Titanic lies is 5,500 pounds per square inch. 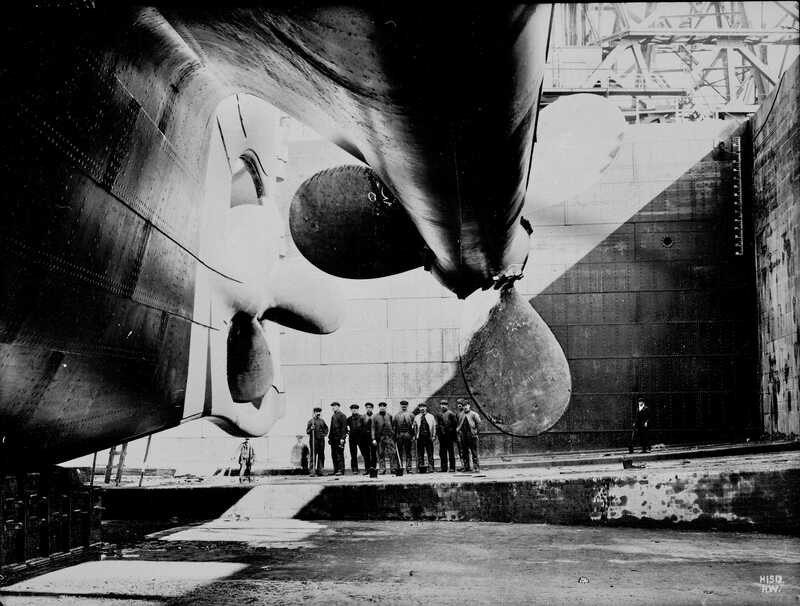 To film the Titanic, special retractable camera mounts were installed, allowing the IMAX camera to film from the centre porthole of either submersible. 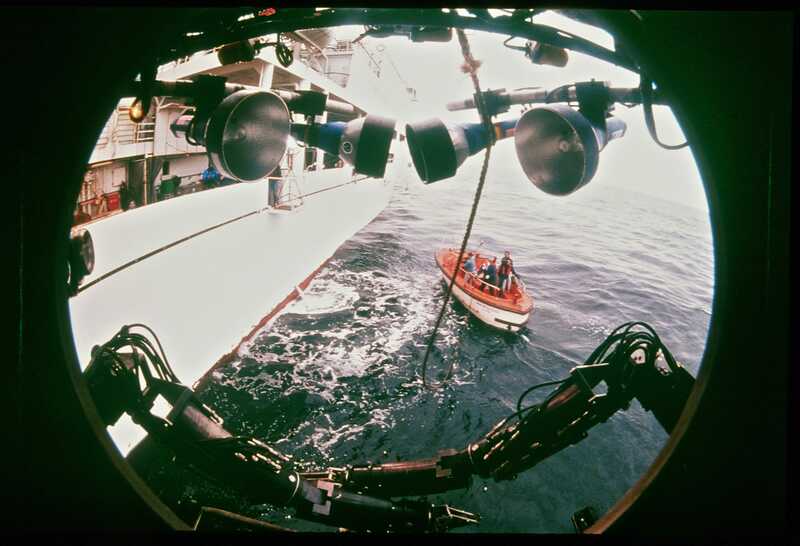 The most powerful lights ever used in the deep ocean were mounted on retractable booms on both submersibles. These systems included specially developed HMI and quartz iodide lights. 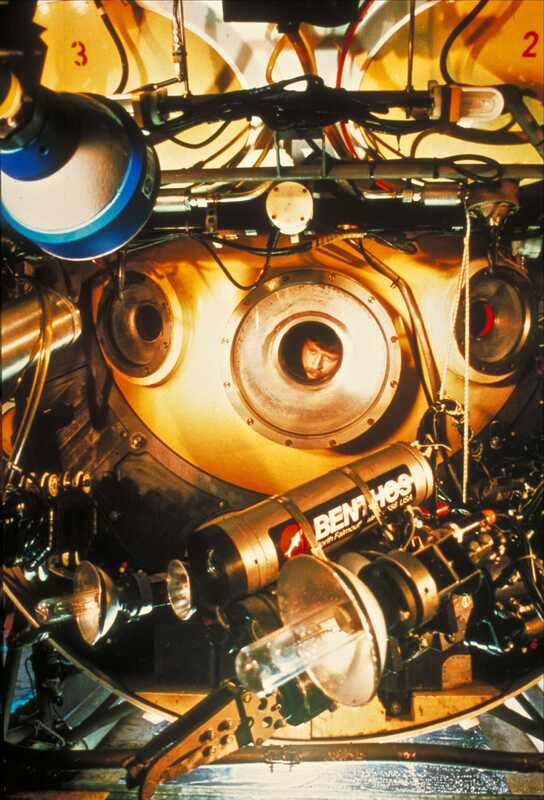 Powered from the submersibles’ batteries, the twin lighting systems were able to generate the equivalent of about 150,000 watts of incandescent light. In 1990, André Picard, former V.P. Film Imax Corporation, met with Low, MacInnis, Sagalevitch and Director of the Shirshov Institute, Vyacheslav Yastrobov. 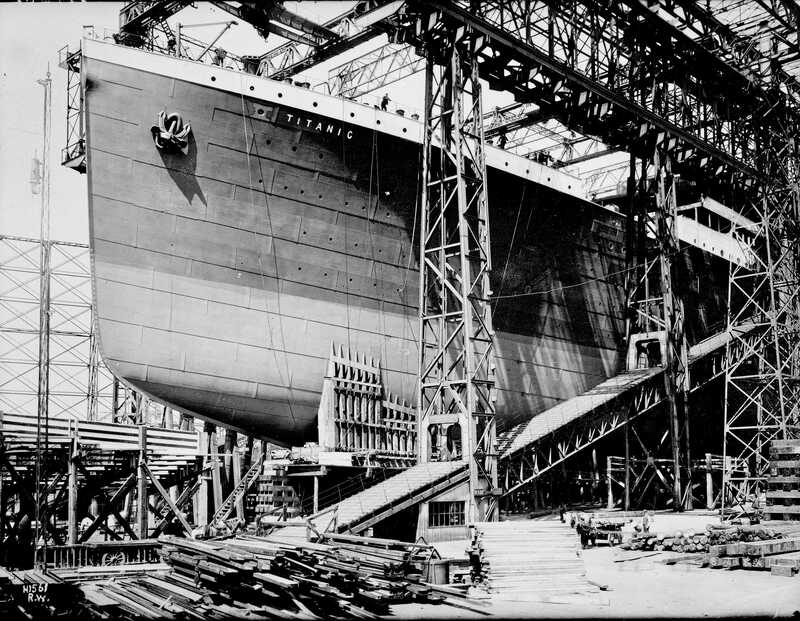 Titanica was launched. “We had a very short window in which to mount the expedition and had to do a lot of things for the first time,” recalls Picard who pulled together the financing and brought the partners to the table. All the elements came together by June, l99l, and the expedition sailed forth to the site of the Titanic on the largest research vessel in the world, the Akademik Keldysh. 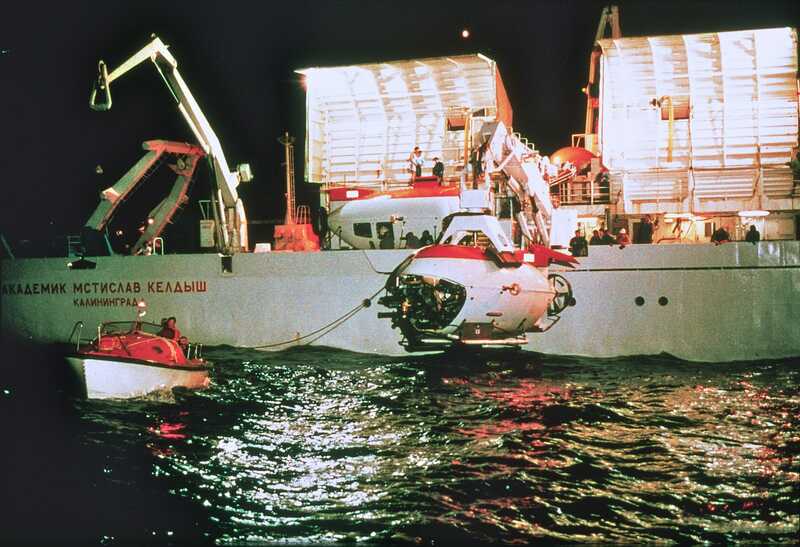 The Russian ship, a city block long, carried a total of l30 people and the world’s most advanced submersibles, Mir I and Mir II, designed to withstand pressures of 9,000 pounds per-square-inch (psi), more than enough for the two-and-a-half mile (4,000 metres) descent to the Titanic. Scientific Objectives. The Titanic wreck site became a deep sea environmental observatory for the Russians and Canadians. Scientists and engineers from the Russian Academy of Sciences, the Geological Survey of Canada and Petro-Canada Resources took advantage of the state-of-the-art technology used to film Titanica in IMAX to investigate environmental processes active in the deep ocean. 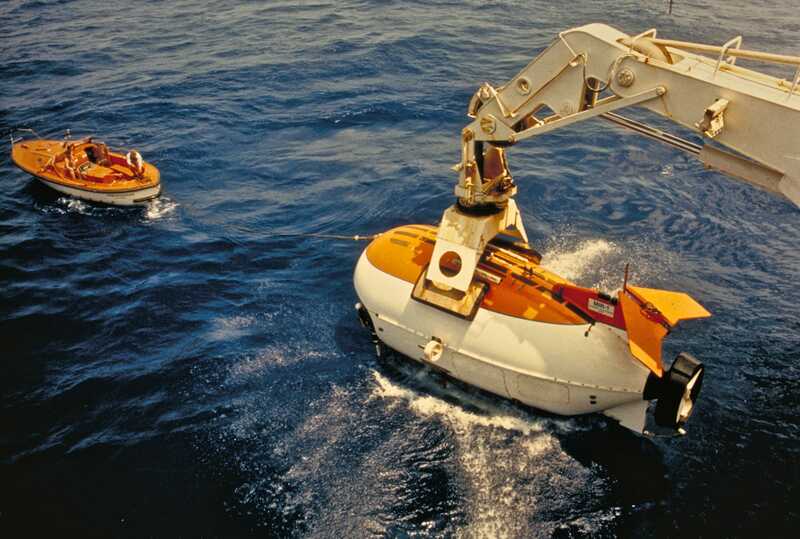 The superbly-equipped submersibles were invaluable for the scientific research. 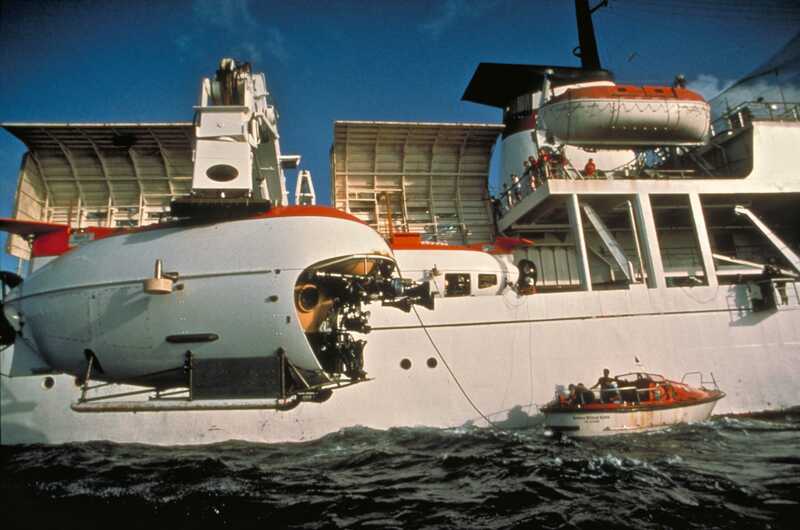 Designed and built by Finland’s RAUMA-REPOLA Oceanics to the specifications of designer/engineer Anatoly Sagalevitch, the submersibles were modified to accommodate the weight of the IMAX cameras, lights and power package. A sea water scrub device regenerates the atmosphere during the dives “making everybody feel well,” smiles Sagalevitch. The high-power battery system, recharged after every dive, has twice as much power as other submersibles, which could spend a maximum of l0 hours on the sea bottom as opposed to the 20 hours on the Mirs, which travel at a top speed of five knots with a range of 18 miles (30km). 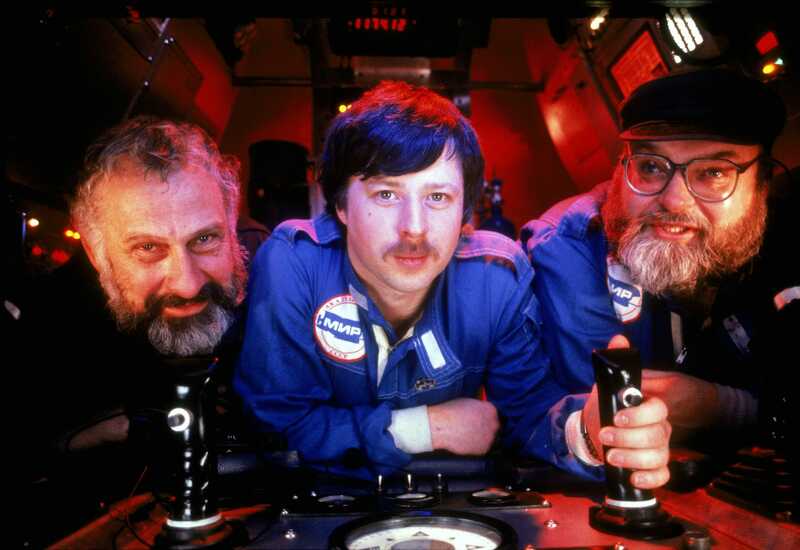 The emergency life support time for the three-man crew is 72 hours. 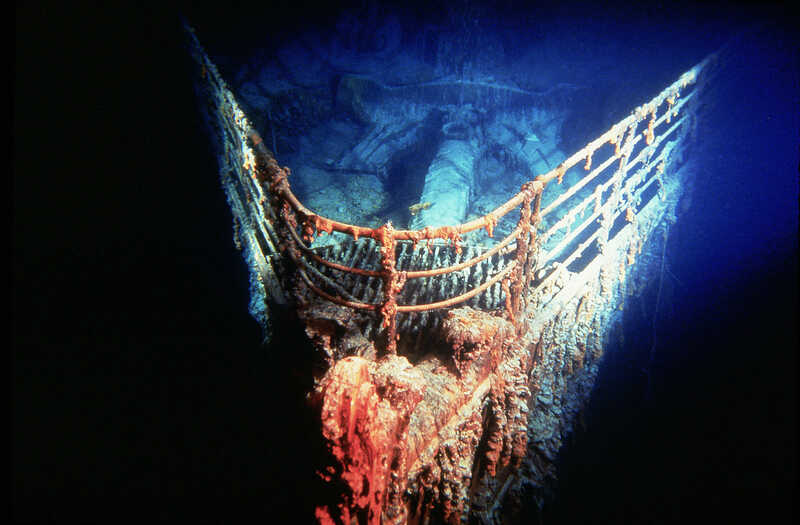 Using the Titanic as a time gauge, the expedition’s chief scientist Steve Blasco, a Canadian marine geologist, and Lev Moskalev, a Russian biologist, conducted an integrated scientific program and made a number of observations: the ocean depths at 12,500 feet (4,000 metres) are not the inert, isolated, lifeless void as generally perceived to be. This has a bearing on using the seafloor to dump waste. Bottom currents of l/4 to l/2 knot or more sweep through the site with considerable irregularity and with no consistent direction. These currents move bottom sediments around to form patches of sand ripples, like those seen on the beaches of the Caribbean. The pilots had difficulty in navigating the subs which often bumped into the wreck, shoved there by the currents. Using Kristof’s 3D video footage, the scientists could measure the size of the sand ripples to determine the magnitude and direction of bottom currents. Some l0,000 years ago, a spectacular massive submarine landslide, taking the form of a ‘turbidity current’ of fluidized muds, sands and gravels ripped down the upper slopes of Titanic Valley to come to rest as a rubble heap on the floor of the valley. These ancient deposits (more than one-million years old) underlying the Titanic wreck are very dense. 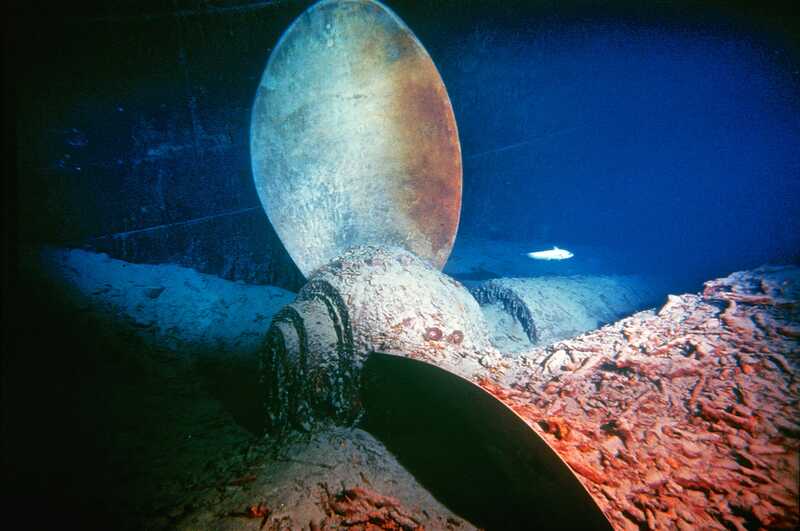 The bow section penetrated only 16 feet (five metres) into these tough sediments, and wreckage from boilers to deck benches rest atop these sediments. If normal ocean-bottom oozy muds had been present, the Titanic and its debris would have been buried. 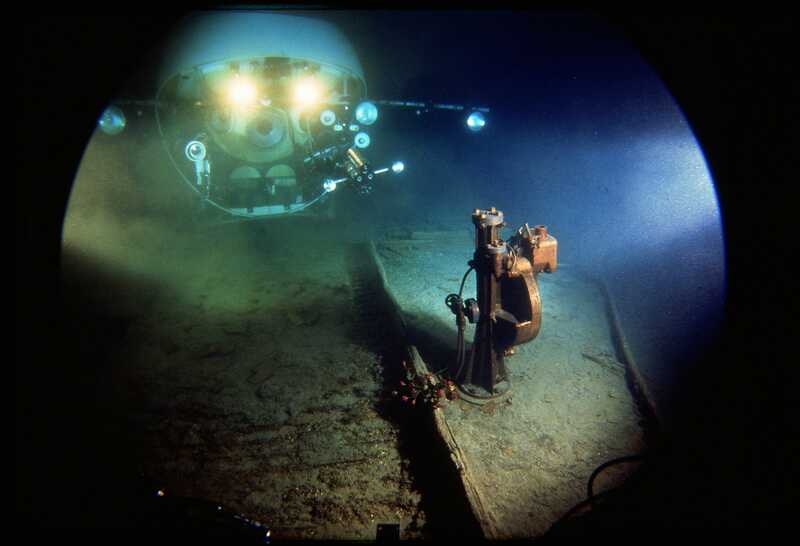 The articulated arms of the Mir submersibles were able to reach out and push 12-inch-long (30 cm) titanium tubes into the seafloor to recover sediment core samples. Analysis showed that these sediments may not absorb or contain toxic or other wastes that may be disposed of in the future. Toxic waste canisters would barely penetrate the surface at best, and may even become damaged on impact, possibly releasing toxic waste for recirculation in the environment and food chain. The environment appears to be dynamic and biologically active. 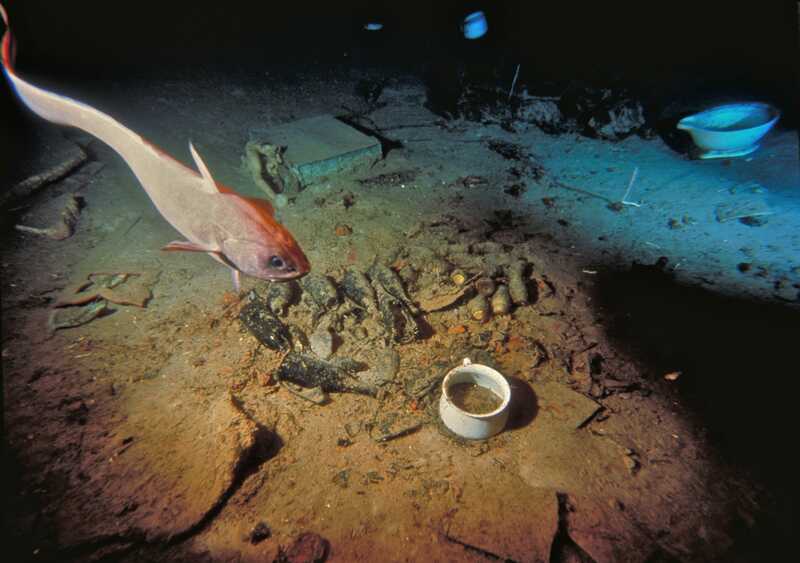 Twenty-eight species of animals and four species of fish inhabit the wreck site. Corals, crabs, shrimp, anemones, starfish and large rattail fish create the impression of a biologically alive, limited activity environment. Worms and other animals inhabit bottom sediments, generating burrows, mounds and ‘bioturbating’ the sediments. Two processes, chemical and biological, are corroding the Titanic at a substantial rate. However, it looks like the biological— bacteria metabolizing the iron, producing rusticles— is more dominant. Myriads of rusticles (shaped like icicles) dangling from all parts of the ship, piles of fallen rusticles on the seabed adjacent to the hull, rivers of rust flowing from the wreck and across decking and plating coated with rust combine to create this first impression.